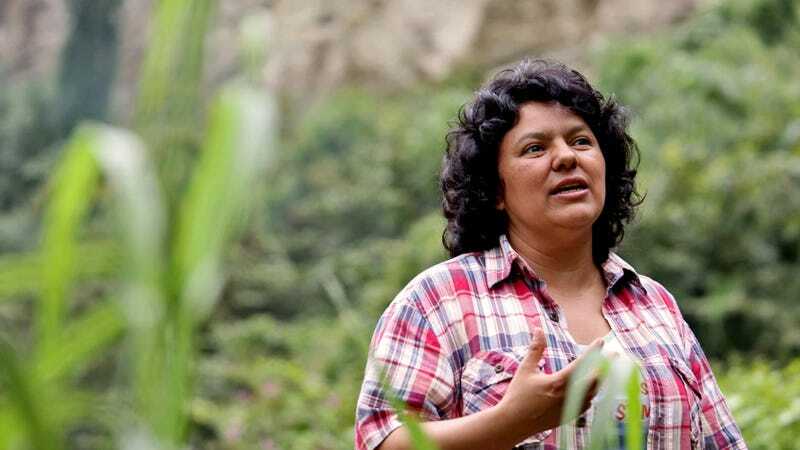 An award-winning indigenous and environmental rights activist was shot and killed in Honduras, just days after she denounced the killings of four other activists opposed to a hydropower plant project in the Central American country. Authorities said assailants forced their way into the home of Berta Cáceres, the winner of the prestigious 2015 Goldman Environmental Prize, then shot and killed her early Thursday. The attackers fled without being identified. The killing marks a new low in a country that already claims one of the world’s highest homicide rates. Last year, the watchdog group Global Witness also described Honduras as the single most dangerous country to be an environmental activist, citing the killings of more than 100 activists since the early 2000s. Officials said Cáceres, a 45-year-old teacher, faced increasing threats after she led fierce protests against the construction of the proposed Agua Zarca dam. Environmental activists say the dam, part of one of Central America’s biggest hydropower projects, would displace hundreds of indigenous people from a river area that is a vital hunting ground and a key source of irrigation and drinking water. Cáceres’ campaign blocked the project, which is being built by a Honduran company that originally partnered with China’s state-owned Sinohydro, the world’s largest dam developer. Sinohydro has since backed out, saying it was concerned about “serious conflicts” and “controversial land acquisition and invasion” by its local partner. Honduran officials had assigned police protection to Cáceres. The Washington Post reported that Honduras’ Security Minister Julian Pacheco said Caceres recently moved and did not notify local authorities about her new residence. Pacheco told reporters a security guard assigned to her home has been taken into custody.